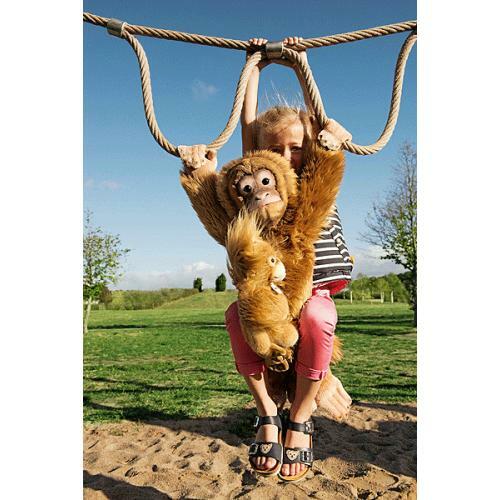 Steiff Alena Orang-Utan is made by hand, in the finest russet cuddly soft plush. 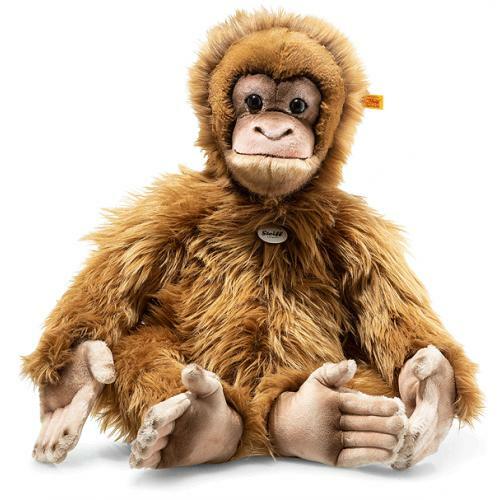 Alena orang-utan is 60 cm tall and made of soft and cuddly plush fabric. You won't be able to resist petting, grabbing and cuddling her. Her hands, feet and inner ears are designed in beige. The chin is light brown. Her face is mostly brown with some pink and brown shading for an additional level of detail. The dark brown shade of paint used for the mouth line, hands and feet adds a lifelike flair to Alena's appearance.